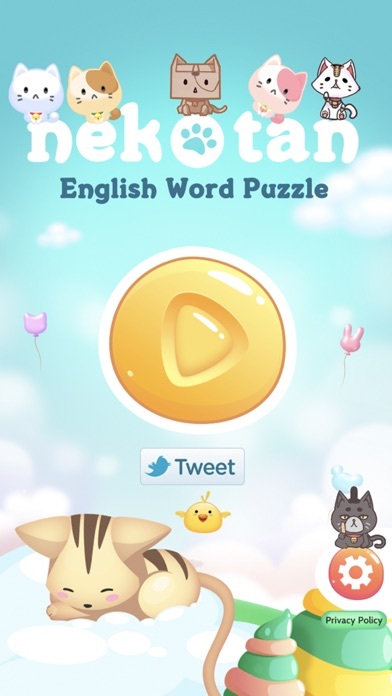 Learning English vocabulary while playing puzzle game? Having fun trying Nekotan! 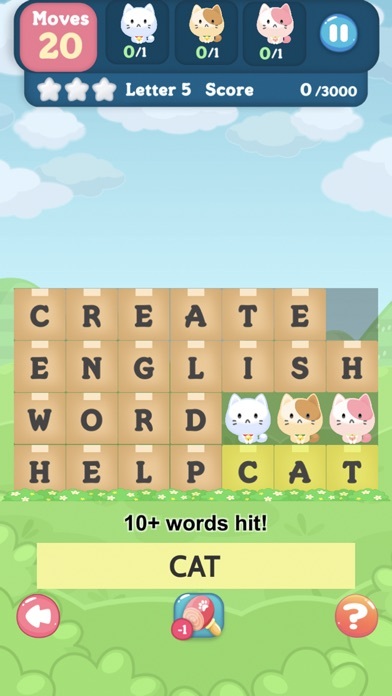 It’s the game where you can create English words from single pieces of letter in order to rescue cats. 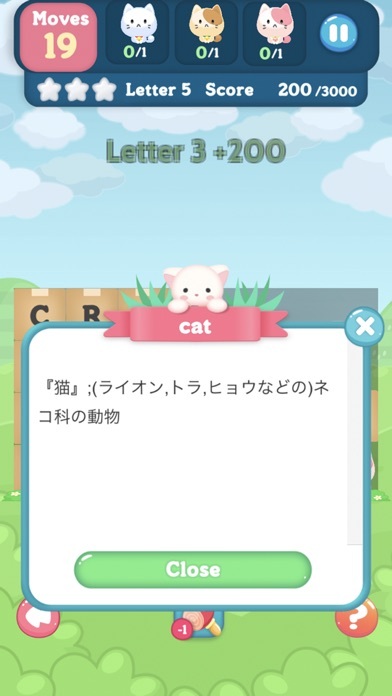 There is an explanation in Japanese for the meaning of words you found in the puzzle. 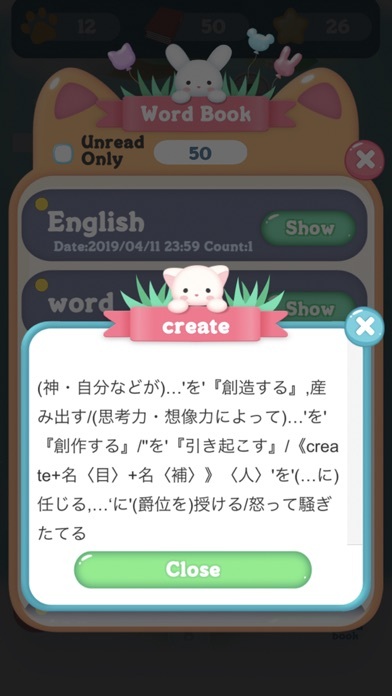 So you can learn new words in both English and Japanese while playing Nekotan ^^ Don’t worry if you are not good at English because we can give you hints to find words by assistant function. 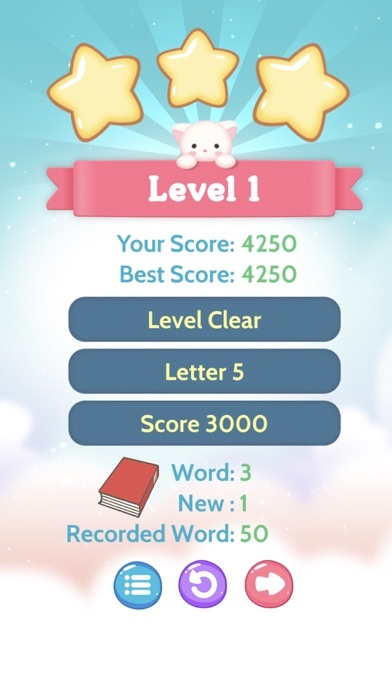 Have fun enjoying game with a database of over 40000 words. ▼How to play Tap pieces of letter to make right words and these pieces will be deleted. 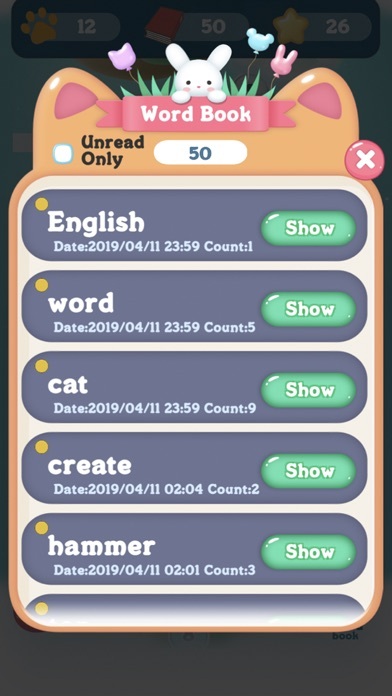 Create words and your cats will be fell down from above and be rescued. For example: If you tap pieces of C, A, T in order it’ll become the word of CAT and the 3 of pieces will be deleted. 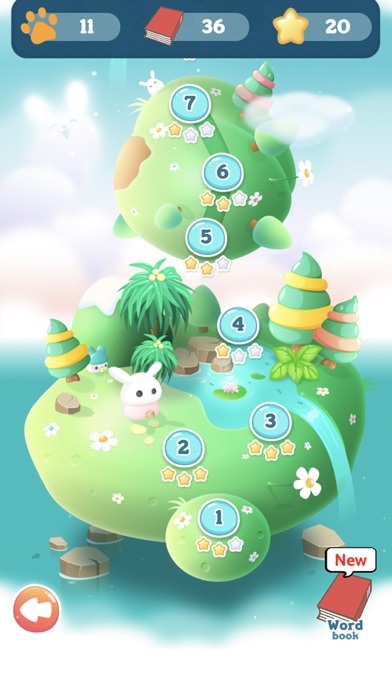 Let’s try to find hidden words and rescue all cats in the puzzle!